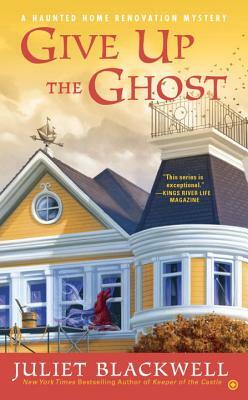 Juliet Blackwell is the pseudonym for the New York Times bestselling author of the Haunted Home Renovation Mystery series, including Keeper of the Castle and Home for the Haunting. She also writes the Witchcraft Mystery series, including Spellcasting in Silk and A Vision in Velvet, and, together with her sister, wrote the Art Lover’s Mystery series as Hailey Lind. The first in the series, Feint of Art, was nominated for an Agatha Award for Best First Novel. She is also the author of the novel, The Paris Key. As owner of her own faux-finish and design studio, the author has spent many days and nights on construction sites renovating beautiful historic homes throughout the San Francisco Bay Area. She currently resides in a happily haunted house in Oakland, California.